Sometimes when I enter a garden center, I can spot their strong suit. 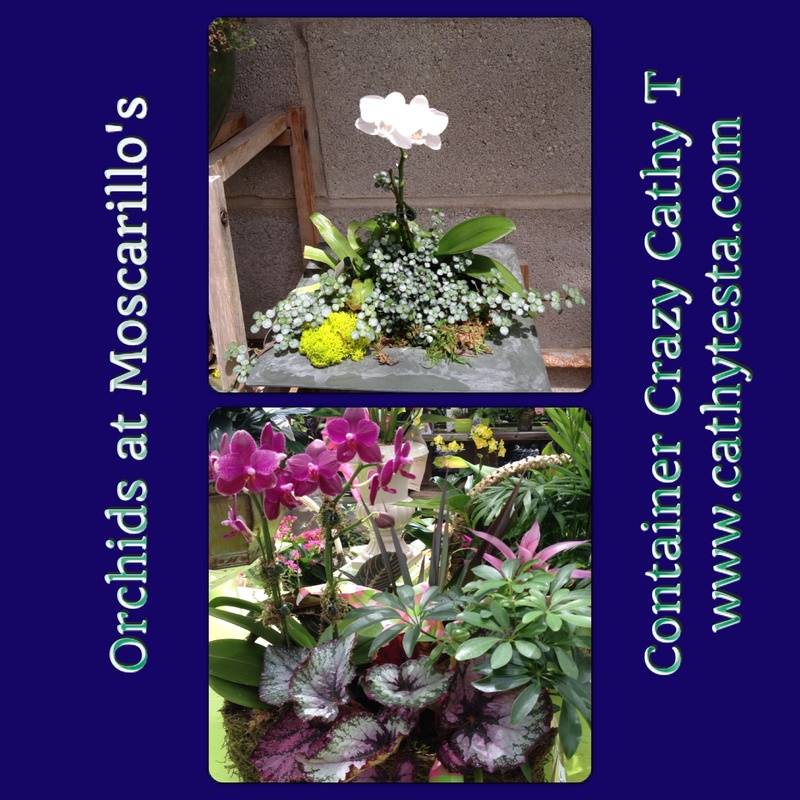 In the case of Moscarillo’s of West Hartford, CT, it was definitely their beautiful selection of healthy house plants. 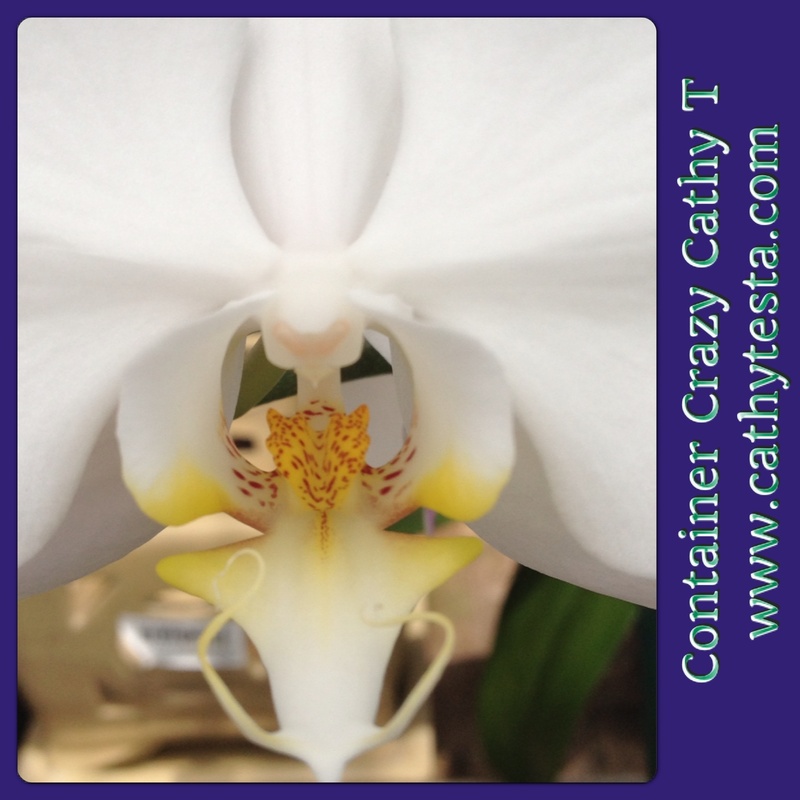 This is not to imply they don’t have much more to offer, because they do, but I was particularly impressed with their house plants, dish gardens, and orchids. 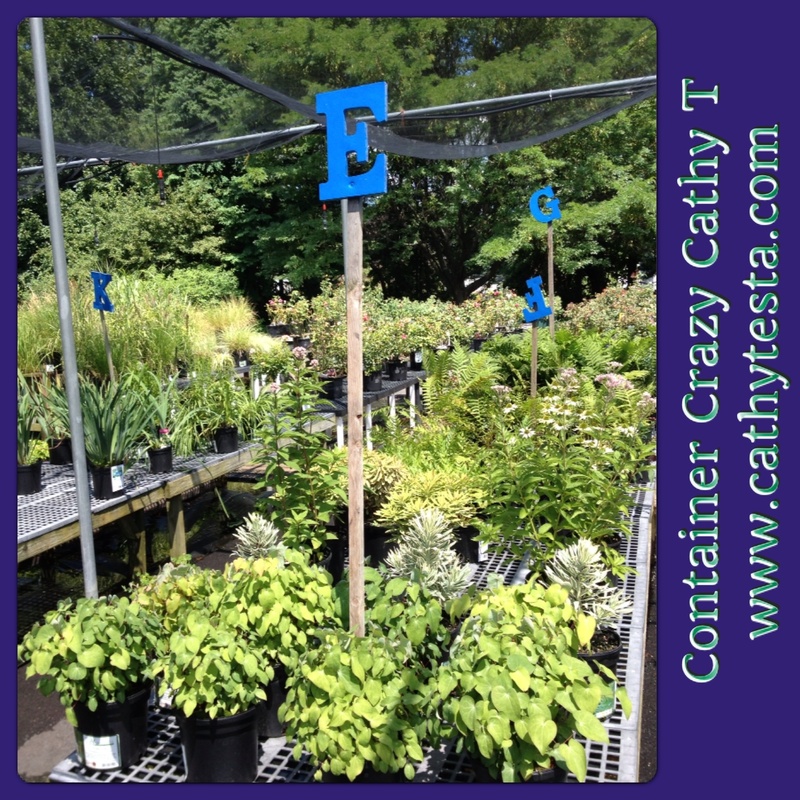 But before going to their greenhouse filled with them, I ventured into their perennial section. The outdoor tables were labeled with individual wooden letters by alpha order to help you find a plant. Need an Epimedium for example, go to the big E on a stake. Clever and unique, I thought. It helps the customer find their way. 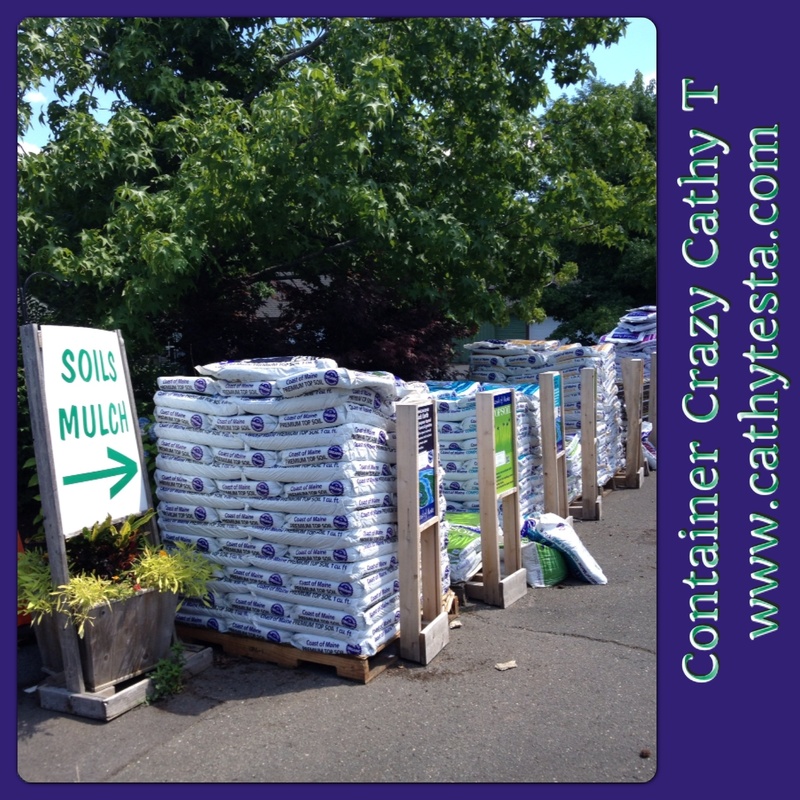 They also had nice neatly stacked bags of soil for the garden and containers, which I thought was well labeled and placed on the grounds. Although I must admit, I like when soil is under some type of cover because we all know what it feels like to carry wet soil. I always prefer bags which are clean, not wet or torn, and when under cover it helps. However, their bags were in fine and in clean conditions. 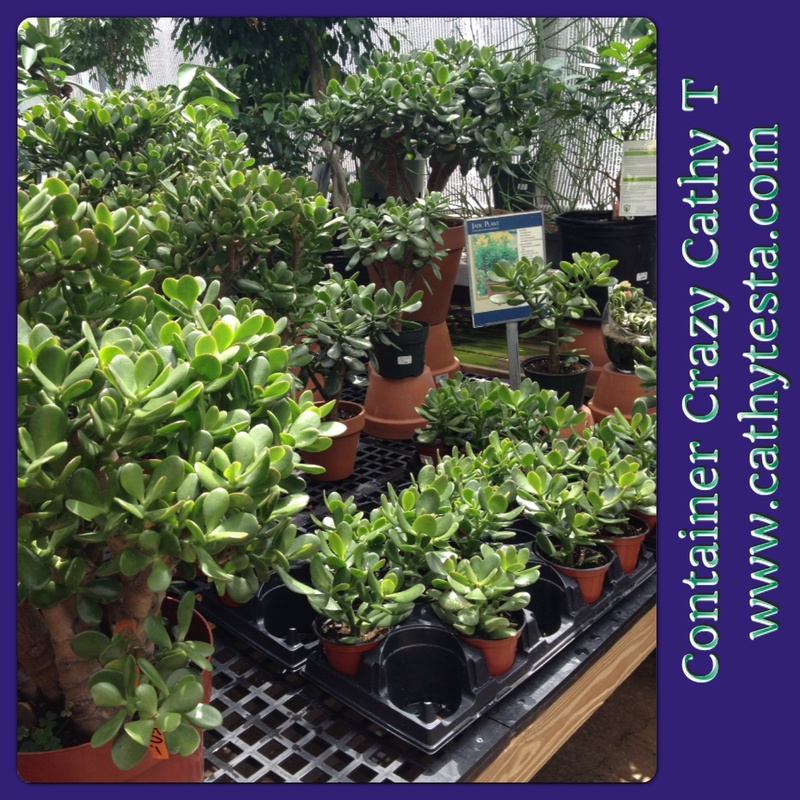 As I walked past the soil area, I noticed a back door to greenhouse was open, so I pushed my shopping cart inside and spotted pitcher plants and bonsai specimens in front of me, but also saw many house plants in this greenhouse. It was filled with good looking house plants. I think I said out loud, Ah Nice. Why are good looking and healthy important? Because insects spread quickly on unhealthy plants, especially if moved into a home where perhaps conditions are not ideal, and it can happen quickly. It’s best to select a plant with no problems from the start. Another aspect that pleased me, was the cleanliness in general. This greenhouse was fairly packed but not unkept. 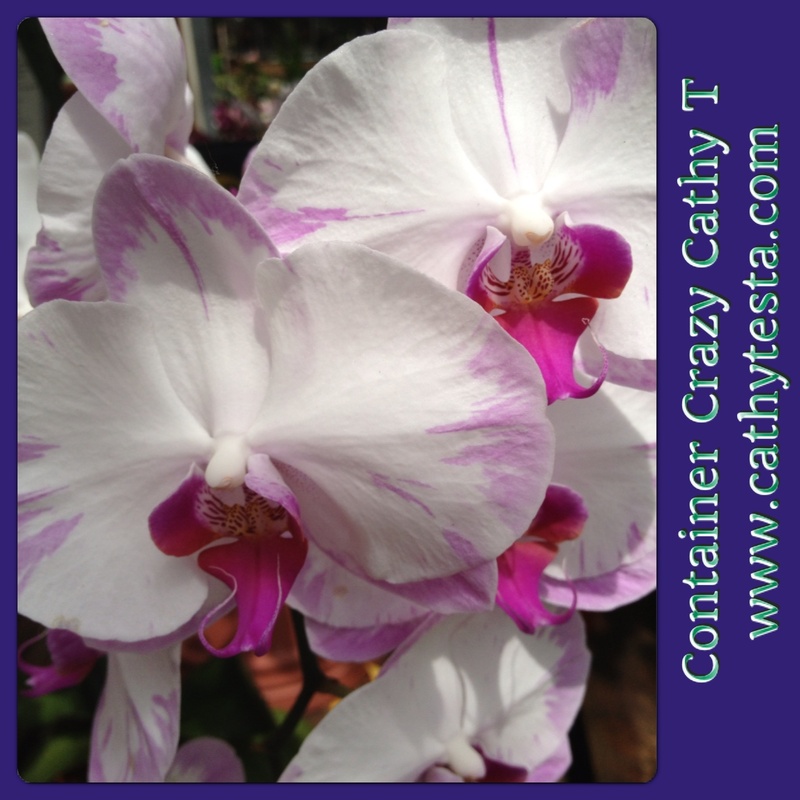 And then, I began to notice their dish gardens with orchids. The orchids were pristine, and the dish gardens well done. My mind said to me, someone here knows what they are doing. 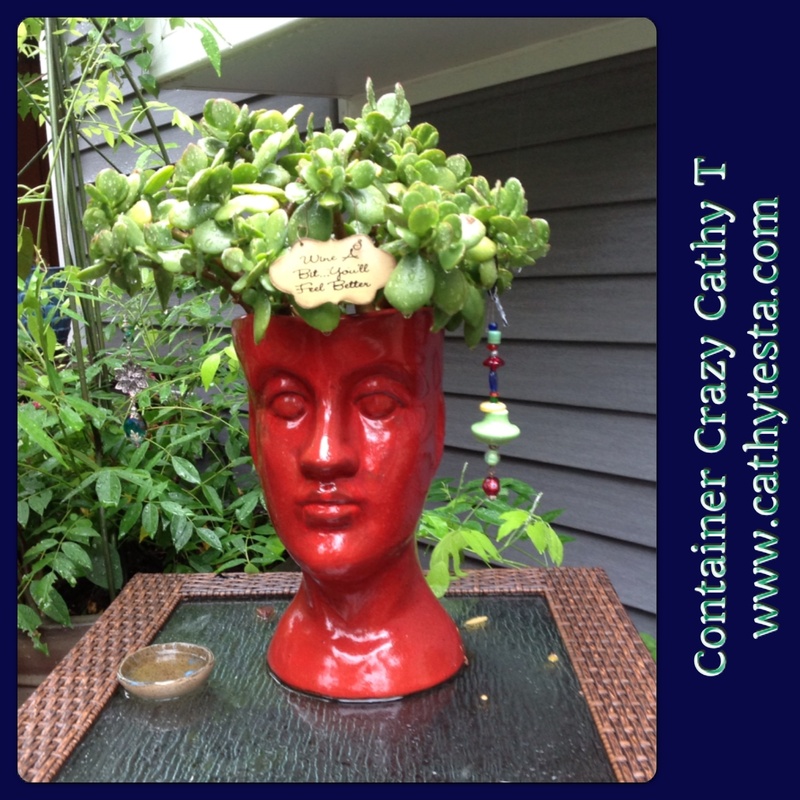 There were some Jade plants that I thought were perfect for creating head planters, like mine shown below. They also had small plants of Norfolk island pine next to a large specimen on display. The pine has handsome foliage. 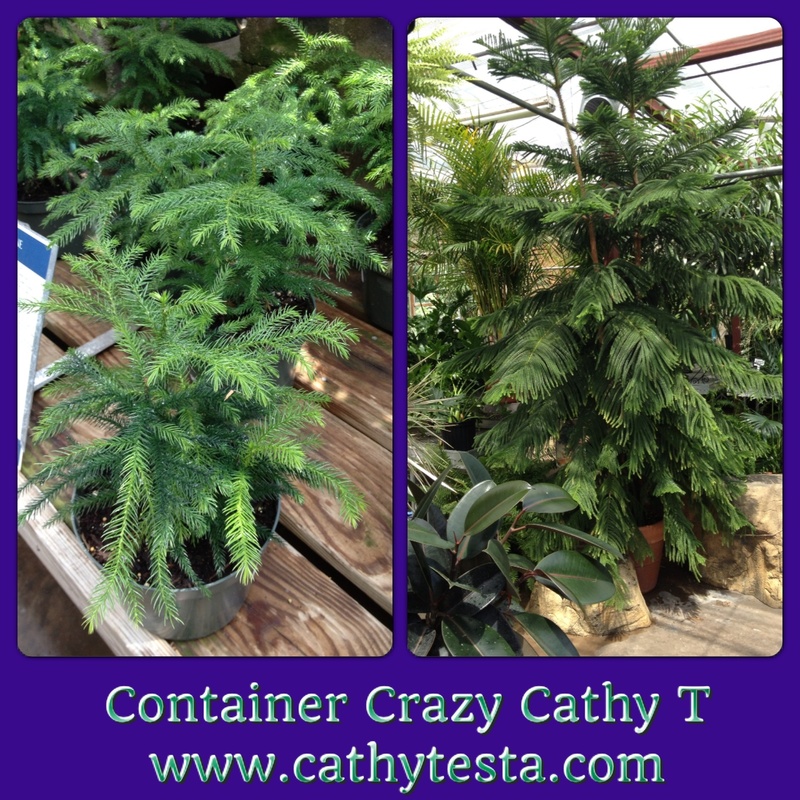 Its an evergreen plant, great for the patio with medium light, or as a house plant. It grows to 8′ tall so high ceilings are helpful. 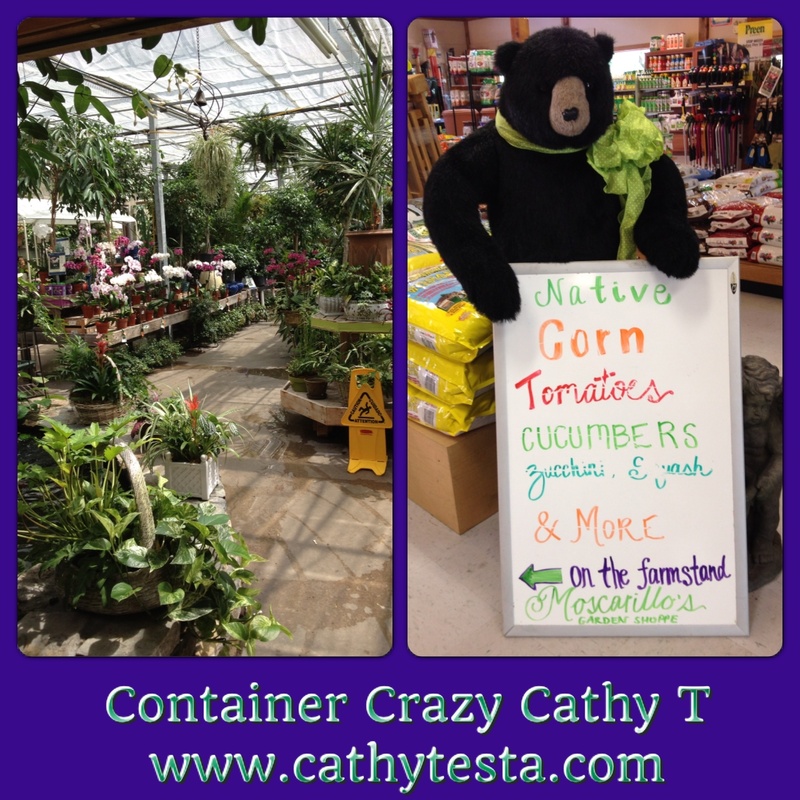 There was a gift shop and even a little section with fresh veggies. Nice touch. As I paid for my items, I laughed at the register person’s shirt which read — Stay Calm and Moscarillo’s On. We discussed the origin of the saying, but that’s another story. 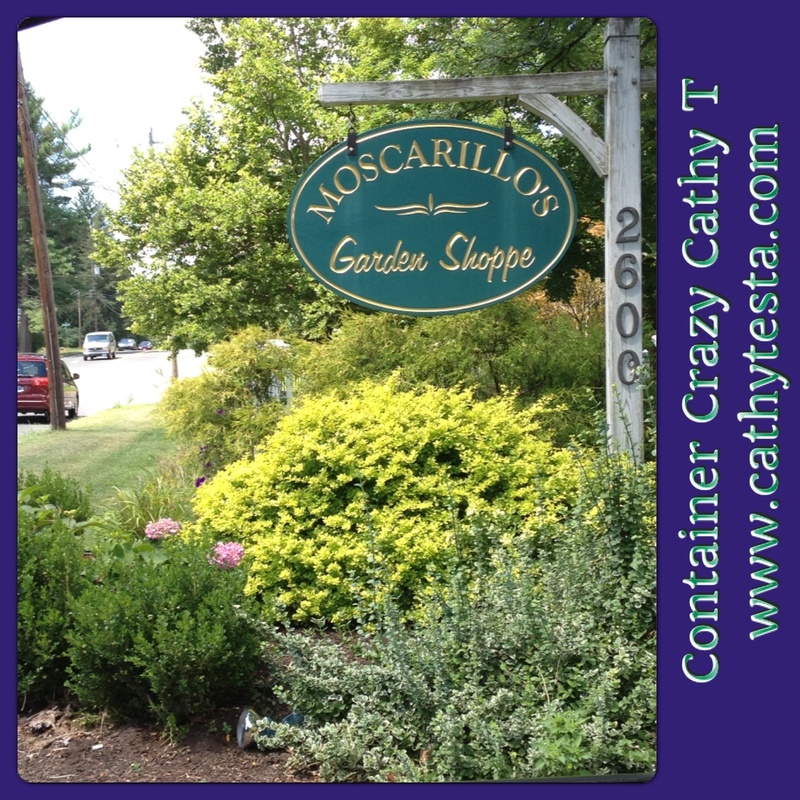 Moscarillo’s is located at 2600 Albany Avenue, West Hartford, CT 06117. They have a small ad in the Garden Trail book, but a big area and offerings at their nursery. 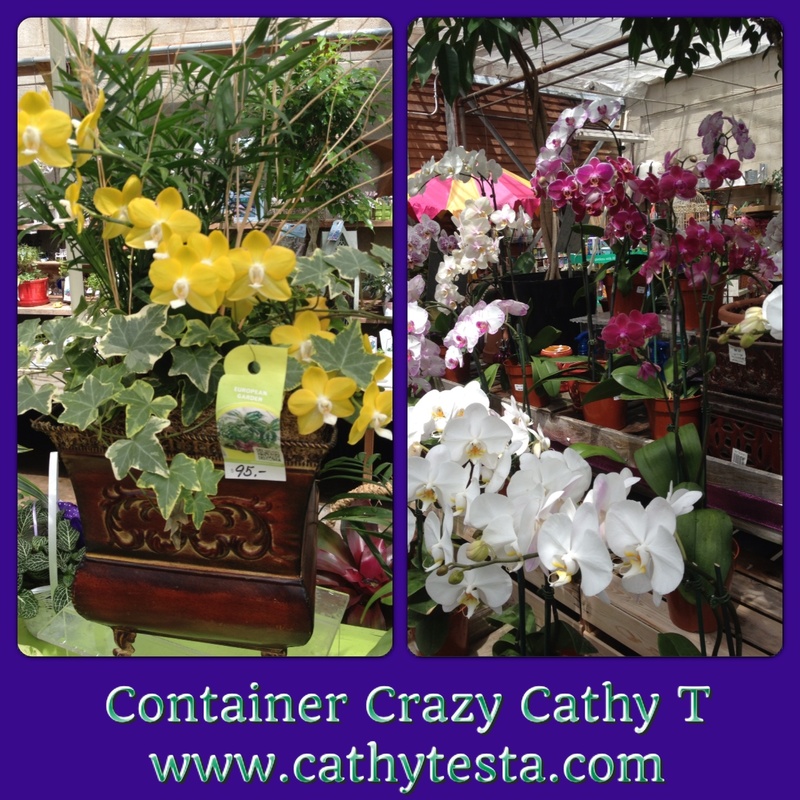 Worth a visit on your travels, especially if you are looking for a beautiful houseplant.